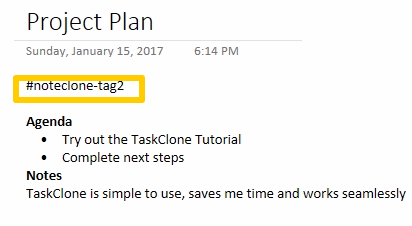 TaskClone allows you to set up additional destinations that you can then select from within a OneNote page based on "trigger tags". Each destination will apply to the entire note and all its tasks. Some of our clients have different task apps for "home" and "work" or task apps that support sending to different projects and this helps keep them organized. The Destination Email field in your TaskClone Dashboard can support up to 3 email addresses separated by commas. 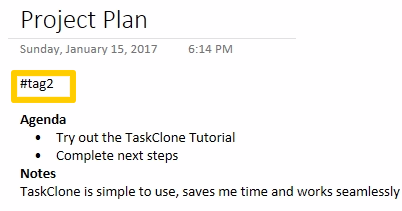 TaskClone will then all tasks to each destination. If you are cloning the page title and not individual tasks, simply append the tag for the destination to #noteclone separated by a "-" symbol (e.g. #noteclone-tag2).